Are you a graphic designer? A blogger? An entrepreneur? The Complete Learn To Design Bundle is for you. 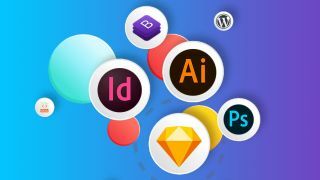 With 60+ hours of training to walk you through Adobe Photoshop, Adobe Illustrator, and InDesign, this bundle will make you a master at digital design. You'll also get up to speed on WordPress, a powerful platform that anyone who blogs or runs a website must know how to navigate. The bundle will show you the ropes for HTML and CSS, too, so you can become a pro at web development. Get The Complete Learn To Design Bundle for only $39 – enjoy the price drop while it lasts!